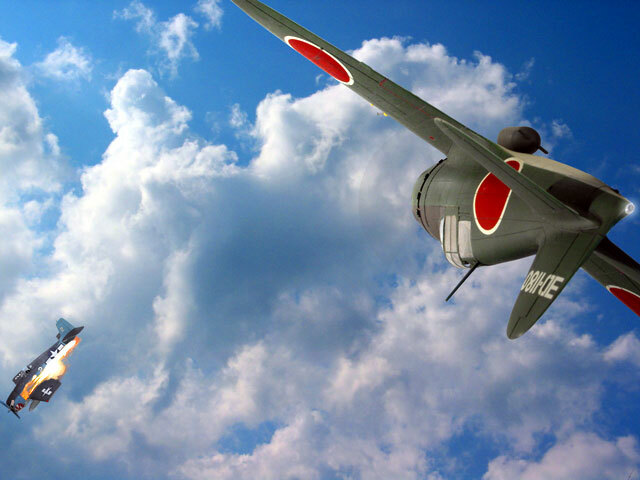 "Scratch One Hellcat" shows a Hasegawa 1/48 scale Raiden kit & a Hasegawa 1/48 scale F6F Hellcat, built straight from the box with kit decals. The pyrotechnics are from a local fireworks display that I photographed. 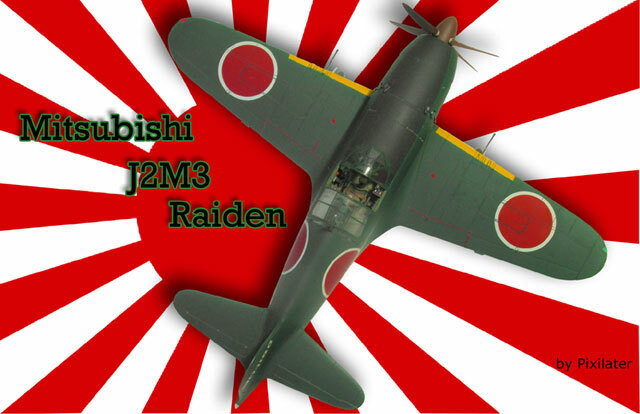 The J2M Raiden in the title image and the composition below had Eduard photo-etched details added. (Pixilater is my web username at a couple of sites). Text & shadows are created digitally.